Patrick Flanery’s third novel takes the reader almost immediately into a shifting sands world. We are never quite sure, for example, where the narrator, a middle-aged History Professor, now teaching film studies, back in New York after 10 years in Oxford, is, in time. He appears to move between a something-has-happened future, a present where something-is-about-to-happen, and his earlier, settled Oxford past. Except that he begins to take the lid off that past, and there are further shifts, Not least of which is identity and origin. 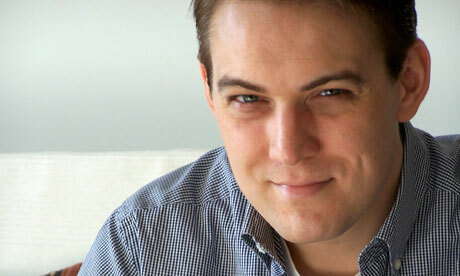 Jeremy O’ Keefe is not allowed to be American in America – influenced by his 10 years in England, his fellow Americans are convinced he is a Brit, but, despite his attempts to ‘acculturate’ himself in England, he was firmly not allowed to forget he was American. At the start of this book, O’ Keefe’s voice is measured, precise, almost pedantic, a correct, dry, considered and intelligent academic voice. O’Keefe (in the voice which Flanery gives him) is very much the didact, donnish, instructing the reader at all times. 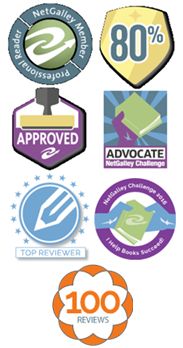 It’s a little like sitting in on a lecture, with cultural references offered, and you, as reader, are expected to engage and get the references. But this voice begins, subtly, but inexorably to shift, becoming a little waspish, sharp, sarcastic, full of asides that indicate that all is not quite as we, the readers, might assume about Jeremy O’ Keefe. Is this a narrator to be trusted? Is he an unreliable narrator? Might he be disordered, even deranged? I was very quickly floundering, anxious, confused – and Flanery was deliberately taking me to that place, because this uneasy, doubting world, so different below its surface, is the world the narrator inhabits. A world where nothing is quite as it seems. Jeremy O’ Keefe appears to be under surveillance. And may have been so, for quite some time. This is the theme of the book : the increasingly ubiquitous surveillance society, particularly in democracies. Surveillance is not only something confined to totalitarian societies. Developed democracies, and advanced technology allowing advanced surveillance. coexist and feed each other. Watching, being watched. Flanery is a wonderfully crafted writer who writes ‘about stuff – big stuff’, but, at least in his first two novels, without polemic. Character, place, narrative, relationship, authenticity in character, voice and action are the authentic containers for the philosophical ideas Flanery wishes to explore. Unfortunately, with this, his third book, I began to feel, from about half way through the book, that the ‘about’ had become more central than the fictional framework. Something Flanery has done brilliantly in his previous novels, is to offer complexity through having more than one narrator, more than one point of view, each of which is fully engaged in, so that a depth and range of arguments can be explored. In I Am No One, we really are only taken into Jeremy’s point of view. Initially, whilst O’ Keefe is unsure what it going on, and it seems as if he could be having some problems with his memory – at least, this is his initial, quite rational conclusion – the reader is satisfyingly presented with a few choices: Is Jeremy a reliable narrator? Are the things which are happening really happening? Is he suffering from paranoia? Does he have some neurological physiological or psychological trauma? Is he perhaps suffering from paranoia and yet right to be paranoid, because the things that are happening are real? So far, so good. We learn, fairly early on, that Jeremy is writing the sequence of events which are happening, for some reason. There comes a point as he begins to reveal more of his past to the reader (and whoever, in the novel might be the recipient of his writing) where we see what the answers to all the above questions might be. And most importantly, some of the revelations the reader is given not only answer our questions about what is going on, but, surely (as Jeremy knows his own history) would have answered his own questions, too, at an earlier stage. Without plot spoilers, which I don’t want to indulge in, it is difficult to explain. But the result is the wonderful unsureness which the reader experienced before Jeremy comes clean about what is happening retrospectively, then has to seem authorial contrivance (Flanery’s). And as O’Keefe is a history professor with a particular interest in surveillance society – he specialised in the Stasi – he knows what might alarm States. I felt as if the ‘ambiguities’ about what was going on, as far as the reader is concerned, were being artificially maintained for us, by Flanery, and I couldn’t quite believe the narrator’s questioning of the ambiguity of what was going on, in terms of is-it-real-or-am-I-imagining-this? A further example of where I think Flanery ended up fumbling and dropping the balls he was juggling, is the often resurfacing dark hints which Jeremy drops about how, at an earlier stage in his academic life, before Oxford, he failed to get tenure in his previous post in American academia. The narrator returns to that, time and again, and I kept waiting for the revelation of what had happened. But it never comes. It’s been a real struggle to review this. Patrick Flanery is a wonderful writer, and I Am No One is still a good and important book. Unlike his earlier books, however, I think this one is more of a cerebral book, challenging to the intellect alone. One of Flanery’s strengths as a writer is to take the reader into the mind, heart, gut of his central characters, to come inside their idea of the world, to understand and believe their authenticity. It was accepting O’Keefe’s authenticity which I began to struggle with after the ’I-won’t-reveal-the-spoiler’. Part of the problem is that Jeremy, being the man he is, rather stands outside his own emotional and visceral experience. There is a kind of aloofness in his voice. He observes himself, and doesn’t quite come close inside himself. He is more of a watcher, and we don’t have anyone else presented from their ‘inside’ – we only have Jeremy’s view of how they are viewing him. Do read it – even in my disappointment I can see how good a writer Flanery always is, and this is still a pertinent and thought provoking novel. And then, if you don’t know them already, do read Absolution, and do read Fallen Land. 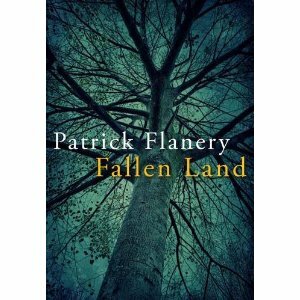 Patrick Flanery – Fallen Land. It’s publication day! 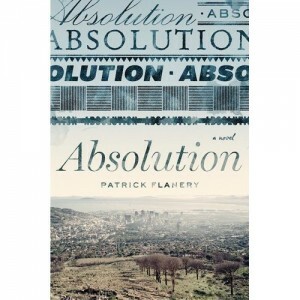 Absolution was one of the best novels I had read in a while, and it continued to haunt me after finishing it. What is particularly remarkable is that this is the author’s first novel. How did Flanery manage something this complex and assured, and written so sparely and without self-indulgence – the writing itself has clarity which reminds me of Damon Galgut, a writer FROM South Africa. Flanery, writing ABOUT South Africa, has a similar voice, but is American born and bred, now UK resident, but he `feels’ like a Southern Africa writer, in intensity, political engagement, and sense of space and isolation: Galgut, Paton, and most particularly `Rhodesian’ born Doris Lessing. Lessing is the writer this book most reminds me of, not just because the central character, Clare Wald, is a writer, writing a layered Lessing like book, Absolution, about the interface between personal and political history, but also because of certain structural similarities to Lessing’s hugely groundbreaking 70’s novel, The Golden Notebook, which contained many interweaving separate stories, written by the central character, so that the book was as much about writing, and the interface between reality, what is and what is not `objectively’ real, and how we all interpret out-there reality to form a subjective reality. Absolution’s meta-story is a biography of the writer Wald, which is being written by a South African currently resident in America, Sam Leroux. Wald is mysterious, complex, layered, with a dark personal history, a political engagement against apartheid, which spans her parent’s and her children’s generations. She is writing a novel, Absolution, which may or may not be fiction, and includes, or may not include, autobiography. In order to write her book, she uses notebooks left by her mysteriously vanished politically activist daughter. The biographer Leroux also has his own troubled history with South Africa, and with Wald. So, like The Golden Notebook, we have several stories, and read each of them interwoven, Sam’s voice, recounting his past, his present, his dark secrets, his connection with Wald, Clare Wald’s account of her present, her past, and her secrets, the novel culled from some autobiographical events which may or may not have been used fictionally, Absolution, and various dated accounts which represent versions of reality and may have come from Wald’s daughter’s notebooks, but are also various representations of Sam’s reality. Who is of course also a writer. Lest this sound impossibly convoluted, Flanery’s skill is to understand that the complex subject matter needs clear telling, to keep the reader able to let the various strands and versions of reality interweave and knot. In a sense, the point is not to try and work out which reality is real and which is the fiction of the writers, it is to accept that we all work and rework our personal history, our motivations for our actions, and the place we take in our own time and place, and how that intersects with the `objective reality’ of the time and place we live in. `Truth’ – the what happened, why did it happen is not linear, it is approached from perspectives.